TCM Update: Four Takeaways On The Outlook For Tax Reform and The Impact On The Market. 1. Expect more tax-related volatility. 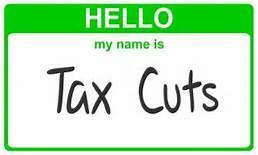 If January through August is any guide, we can expect the ever-growing Washington soap opera to fully engulf the tax cut issue this fall. Like health care, there are multiple moving pieces, a lot of important, TV and tweet happy players (not including Trump), and a lot of pressure—as this is the Republicans’ last chance to get any legislative priorities accomplished before the focus on the midterms begins in 2018. 2. Based on recent news reports, it appears that many controversial issues are being discussed in the tax cut package, which includes capping mortgage interest deductions, eliminating the deduction of state and local taxes against federal, corporate interest deductibility and other issues. These are foundational pieces of the current tax code, and removing them won’t be easy. 3. The sector winners from potential tax cuts remain the same as they’ve been all year: Super-cap technology (on foreign profit repatriation), health care (on foreign profit repatriation), retailers (they pay high corporate taxes) and oil and gas (high tax rates). 4. We’d give it about a 65% chance that tax cuts/foreign repatriation holiday get done by Q1 2018, and about a 50/50 chance those tax cuts positively surprise (i.e., the corporate rate drops below 28%). We do not expect any changes to personal taxes. The reason for this opinion is self-preservation. Congressional Republicans are on the ballot in 2018; President Trump is not. If they fail to accomplish anything (no health care repeal, no tax cuts) and this Washington soap opera continues, then it’ll be Congressional Republicans who are out of a job. So, they have to get something done if they want to save their jobs. There’s no better predictor of action in Washington than the rule of self-preservation. This information is provided for educational purposes only and should not be construed as research or investment advice, and is not a recommendation, offer or solicitation to buy or sell any securities or to adopt any investment strategy.